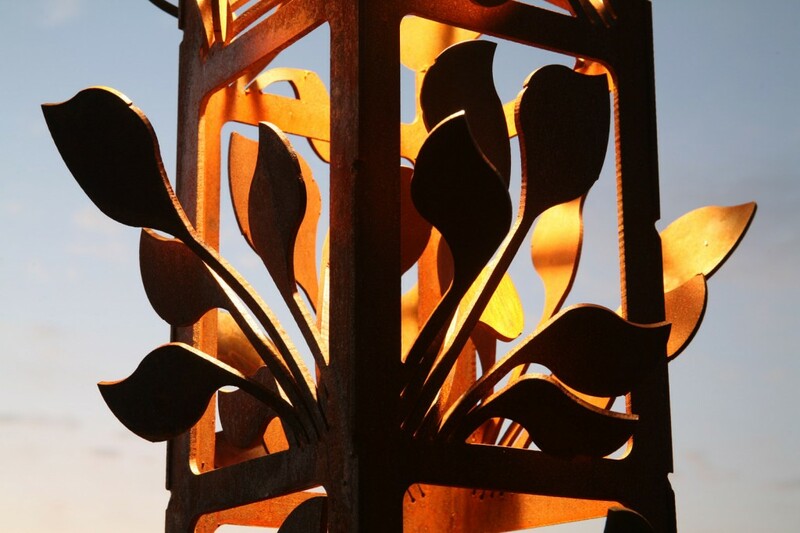 Decorative outdoor lighting is the new rage in design. 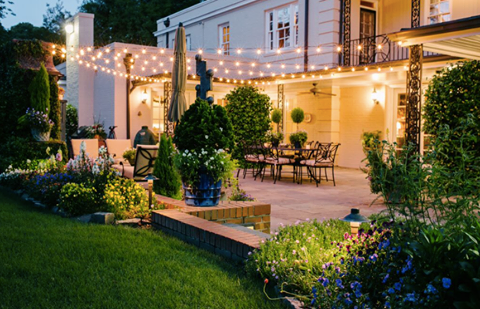 Outdoor Lighting Perspectives of Nashville has a broad range of chic and trendy lights that offer something totally different from what traditional landscapers offer that come from those big home improvement stores. Our fixtures are custom-made specifically for us and proudly made in America with high quality commercial parts. We do not sell or install inferior made products made of plastic or other low-grade components that won’t survive the season before needing replacement. Our fixtures stand the test of time, and Mother Nature, to provide years of unbridled enjoyment. If you are still sporting an outdated or aging halogen outdoor lighting system, it’s time to check out how much outdoor lighting has changed in recent years. Modern LED bulbs cut down on energy consumption and provide a long life, and they come in all sorts of unique genres that give lots of different benefits and appeal. 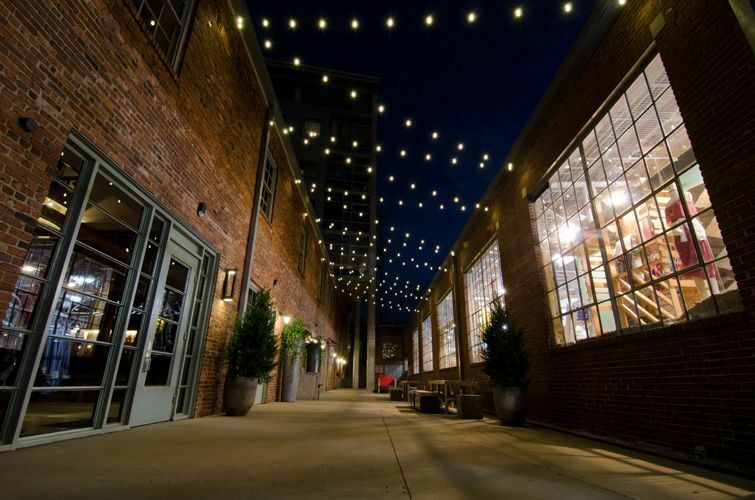 Festoon style permanent festival lighting in the Gulch. 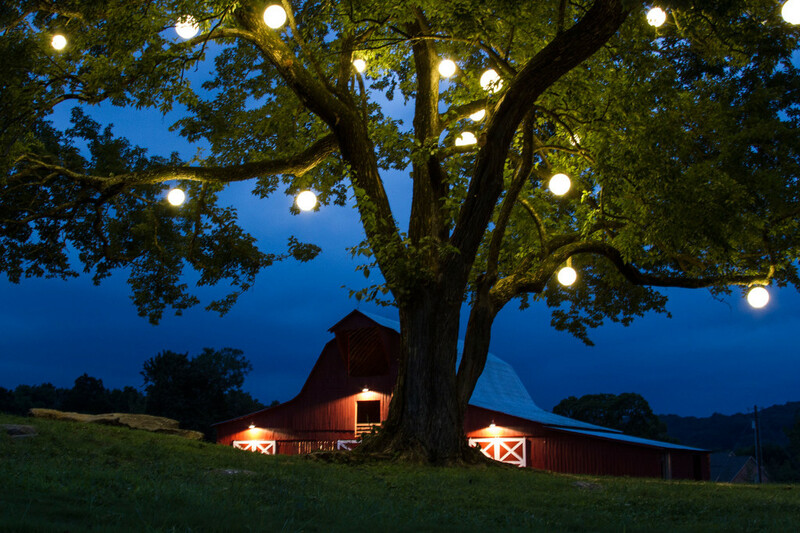 Permanent Festoon lights (aka festival or cafe lights) can be installed across a covered porch or deck and provide plenty of visibility as an overhead light source that delivers a swagged romantic lighting effect. They have a party feel like you’d see in outdoor festival settings or that lovely corner cafe you visiting while on vacation — we offer them in either white or in colored bulbs that are housed in small globes and we can change out the lights whenever you want a totally different effect such as during the holiday season. Orb lights are a twist on festival lighting that kick it up a notch since the globe housing that surrounds is much bigger. You can choose either 10, 12 or 16 inch globes in size (or vary them and mix it up) and it looks like these ethereal spheres are floating through the air in a mystical way. You can also get these in white, clear or in multiple colors and the effect is truly breathtaking and unusual. Normally, we hide our ground level fixtures so they are very hard for anyone looking around your property to see. In some cases, the fixtures are just as pretty as the light they cast and have incredible artistic value—and this is absolutely the case with our Attraction lighting series. Custom made for us; these dazzling metal fixtures have incredible sculptural flair that sends rays of light dancing around your walkways, a retaining wall or even your home’s walls. If you are fascinated by the use of light as an art source, then these lights are right up your alley as they throw immensely interesting patterns of twirling light around an outdoor space. They even look fantastic during the day thanks to their interesting shapes and cut-outs, and no can argue how decadent these look in comparison to boring landscape lights you see in most yards. 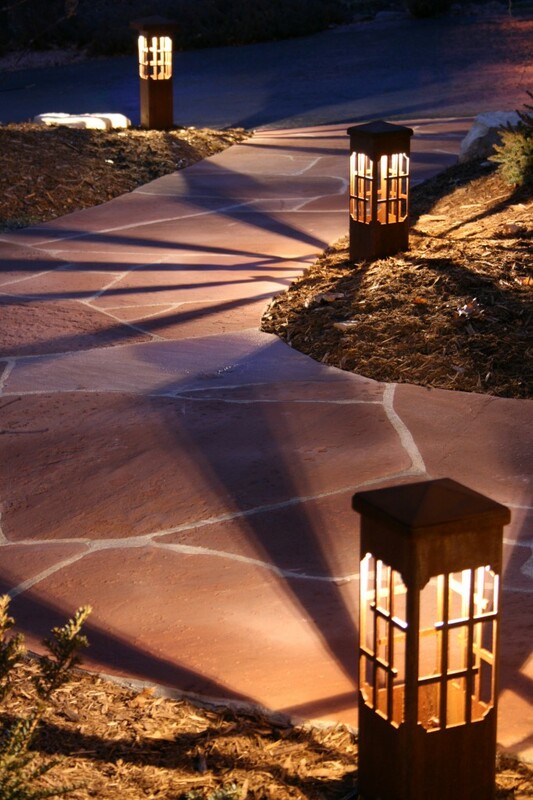 Decorative lighting can become a work of art in the garden and landscape. Let’s talk about how we can get your home into an interesting lighting scheme that will cause an envious stir among your neighbors. 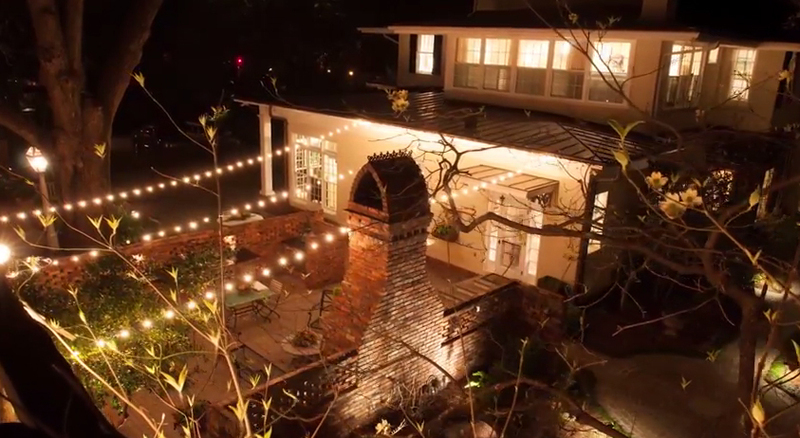 Contact Outdoor Lighting Perspectives of Nashville to learn more about cool and distinctive outdoor lighting fixtures like no other. You can call us at (615) 373 – 0638, or by emailing us at: olpnashville@outdoorlights.com . This entry was posted in Festival Outdoor Lighting, Focal point outdoor lighting, LED outdoor lighting designs, Lighting for Outdoor Living Spaces, Nashville Decorative Outdoor Lighting and tagged Landscape Lighting, Nashville artistic outdoor lighting, Nashville Decorative Outdoor Lighting, Nashville festival outdoor lighting, Nashville festoon lighting, Nashville holiday lighting, Nashville orb lighting, Nashville tree lighting, Nashville unique outdoor lighting designs, outdoor lighting Nashville by outdoorlightingnashville. Bookmark the permalink.